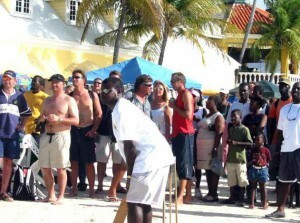 Although Antigua may be small, when it comes to cricket, it’s huge. 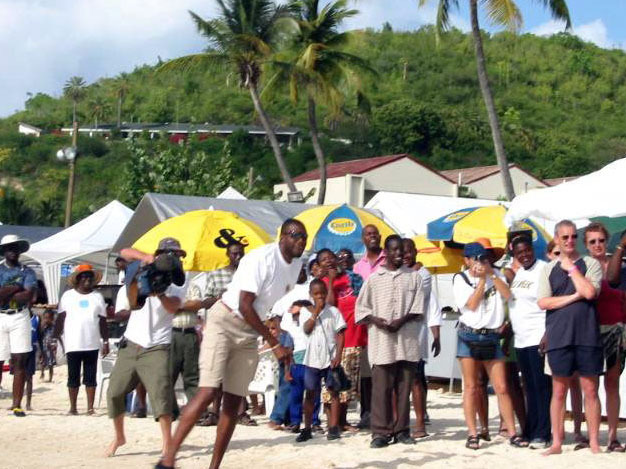 Cricket season lasts from January to July and can be played in any local schoolyard, field, beach or the Antigua Recreational Grounds which is the International Test Cricket Venue. Every spring “The Windies” as they are affectionately known, host one touring team from various countries around the world; e.g. England , Australia , New Zealand , South Africa , Pakistan or India . 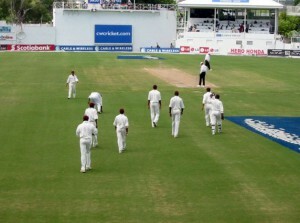 The West Indies team is comprised of the best players from all the Caribbean Islands . The teams will travel to several islands, including Antigua, throughout the Caribbean over a period of several months playing world class cricket matches. Many visitors plan their annual vacation around these very special events. 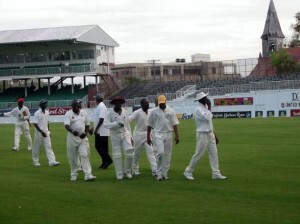 Antigua boasts of having the best venue for cricket in the West Indies . Every match is a party event and fun for the whole family. Even if you’re not a cricket fan you will enjoy a day at the stands. Mix with the local supporters who are devoted to the game or take up with the visiting team, it really won’t matter the music will make you want to jump up and cheer. It’s exciting and a day you’ll always remember. You can bring your own lunch or buy from the vendors on site. Tasty BBQ chicken, Rastafarian “Ital” or a legendary hamburger, it’s all there to be enjoyed and washed down with a cold “Wadadli”, Antigua ‘s own beer. 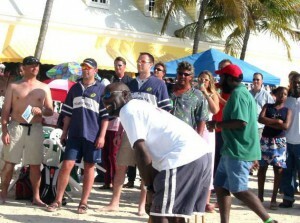 If you are already a cricket fan you’ll recognize the famous players that call Antigua home. To name a few, Andy Roberts, Richie Richardson, Curtley Ambrose and the legendary greatest cricketer of all time, The Master Blaster, Sir Vivian Richards. It’s not unusual to meet these players at the test match or having a fun game of beach cricket amongst themselves, where you’ll likely be invited to join in. During your visit to our island be sure to stop by The Sticky Wicket, West Indies, Cricket Hall of Fame located just outside the V.C. Bird Airport.